Several of the Norwegian family’s tiaras originate with Queen Maud, daughter of Britain’s Edward VII and Alexandra. 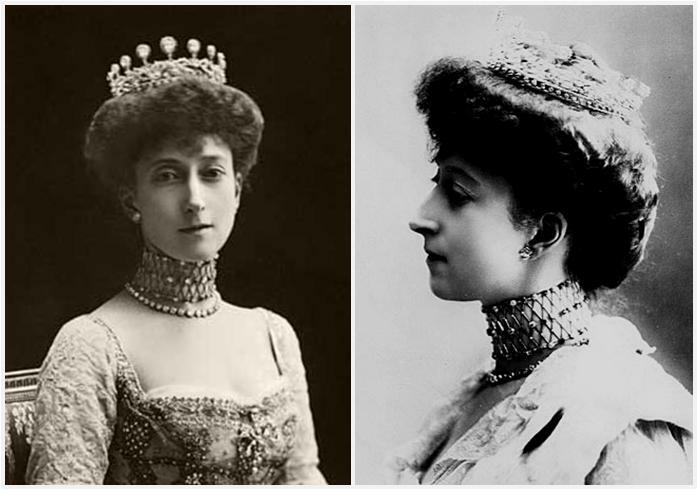 Much like Maud’s Pearl and Diamond Tiara, this diamond tiara was a wedding gift when she married Prince Carl of Denmark in 1896. (Carl would later become King Haakon VII of Norway.) It is quite a large piece, featuring an intricate design on a base of collets between two rows of diamonds with diamond uprights on top. It was presented to the bride by "Lady and Gentlemen Friends". The tiara eventually ended up in the possession of Princess Ragnhild, Maud's granddaughter. Ragnhild was the oldest of the three children of King Olav V and his wife, Crown Princess Märtha. 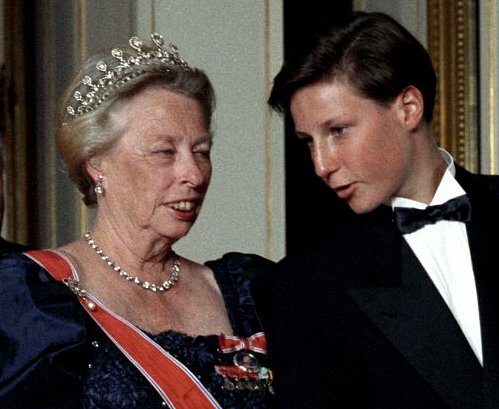 (The others being Princess Astrid and the current king, Harald.) Märtha died in 1954, before Olav became king, and the three children decided to wait until Harald married to divide the major family jewels. Harald married in 1968, and this tiara went to Ragnhild. Ragnhild married Erling Lorentzen in 1953 and relocated to Brazil for her husband's business. She lived most of her life outside of the spotlight, though she did attend royal events from time to time. 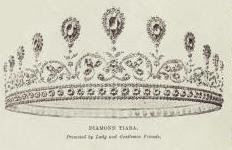 Accordingly, this tiara is not well known and hasn't been seen as often as other Norwegian pieces. It has been said that the diadem was intended to return to the main royal house after Ragnhild's passing, and unfortunately in the coming years we will discover whether that is really the case: Princess Ragnhild sadly passed away at the age of 82 on September 16, 2012, and will be buried in Norway.